Abbeville County is named for the town of Abbeville in France. Description: The building faces southwest and is a two story dark red colored brick and concrete structure. 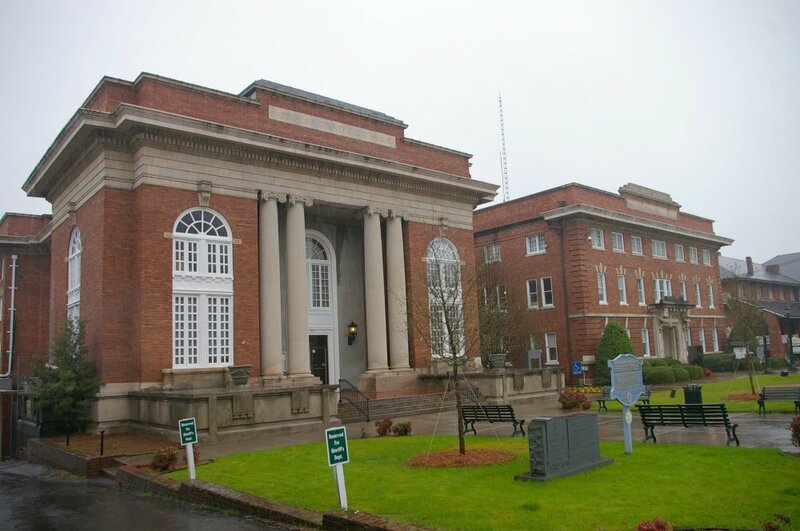 The building faces onto Courthouse Square. The southwest front has four large unfluted stone columns with Scamozzi capitals, rising to wide stone header which runs horizontally across the building with a projecting cornice above. The entrance is recessed and framed with white colored wood having a large arched window above the doorway. On either side of the building are large arched windows. The building is connected to the City Hall on the south side. The building was renovated in 1964. 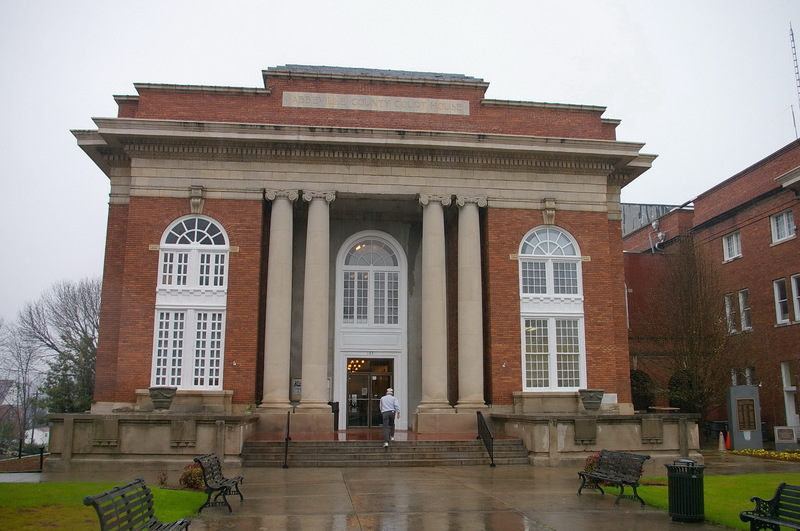 The architect was Lyles, Bissett, Carlisle and Wolff of Columbia. 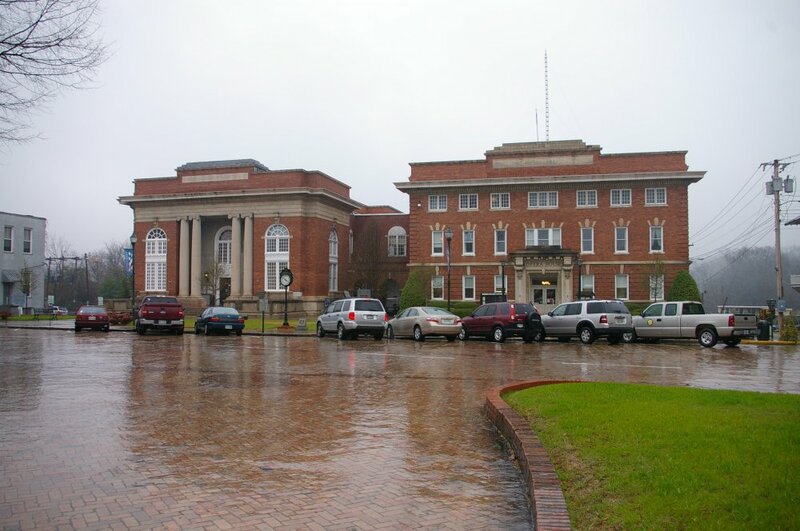 Note: Other courthouses designed by William Augustus Edwards are located in Calhoun County, Dillon County, Jasper County, Lee County, Sumter County and York County. Note: The first courthouse was a wooden structure. In 1825, the second courthouse was built. The third courthouse was designed by Robert Mills and built in 1829. The fourth courthouse was built in 1853. And the fifth courthouse was built in 1875. 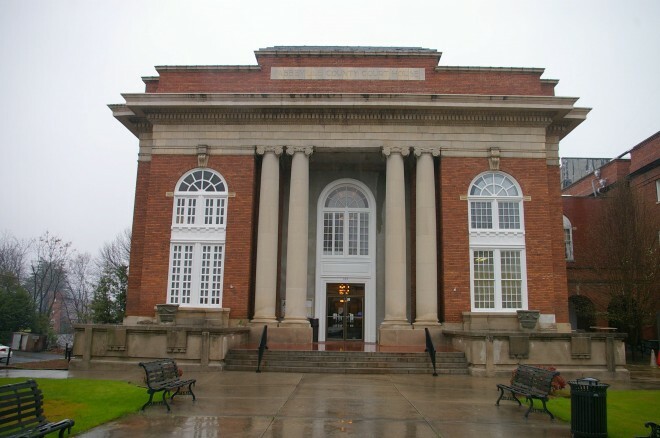 The present courthouse is the sixth courthouse.